Salvation Worship Ministries is based in the Kathmandu Valley, Nepal. Our ministries cater to all the requirements of worshipping God in "spirit and in truth" based on biblical principles. Founded in the year 2000, our ministries have been gradually growing in the Lord. 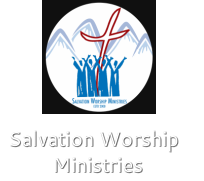 There are currently three different branches of Salvation Worship Ministries: Worship Team, Music School, and Recording Studio.